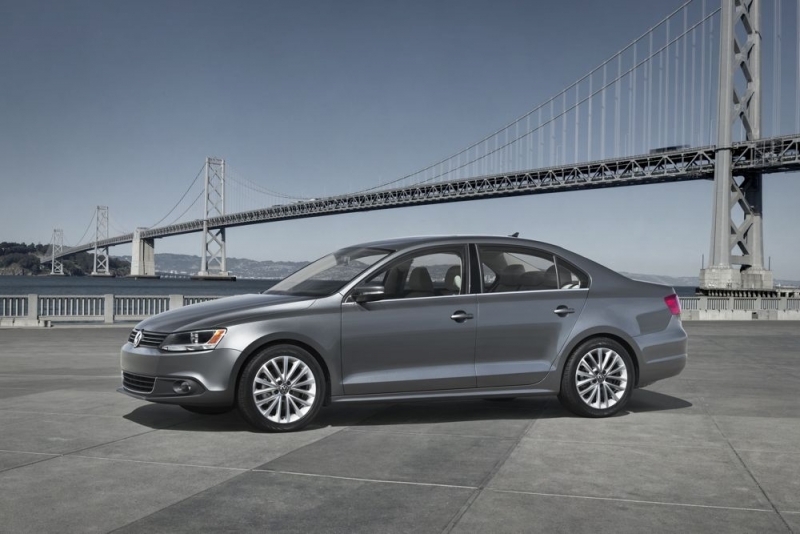 When you think of affordable compact sedans on the market today, the Volkswagen Jetta doesn’t immediately spring to mind. With the Honda Civic and Toyota Corolla dominating that segment, there doesn’t seem to be much room for another contender, especially another one from overseas. That’s changing with the newly redesigned 2011 model, which was modified specifically to boost sales in the North American market. The Jetta makes up for about half of VW’s sales in the States, and the 2011 model really needs to be something special to exceed the 100,000 units sold just last year. 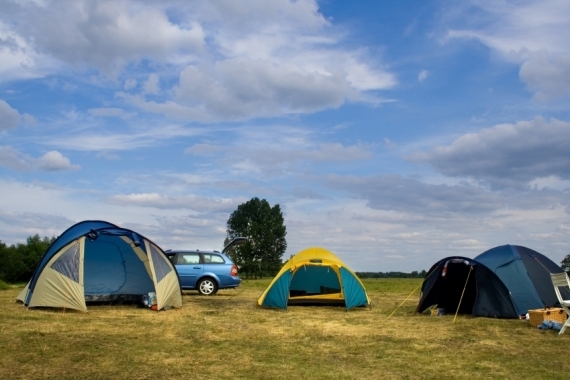 Luckily, the new 2011 Jetta is bigger, roomier, more sophisticated and, gasp! less expensive than the outgoing model. Looks like this will be another successful Jetta generation. 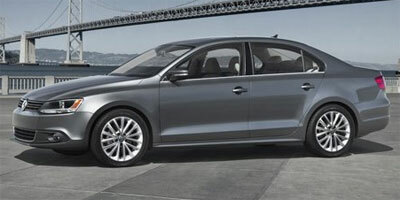 For 2011 Jetta has been redesigned with all-new styling, a larger exterior and interior and a new four-cylinder engine. It still handles like a VW but now has the size and space of its competitors at the same cost. The designers even fixed the old Jetta’s front grille, as not to be confused with the Corolla anymore. The interior feels cheap, even in this class. The navigation screen is smaller than most, and the system leaves much to be desired. In addition, the automatic door locks don’t automatically unlock. If you jump out to grab a bag or briefcase from the back seat and it’s locked, you must reach to the driver’s door the hit the unlock button first. 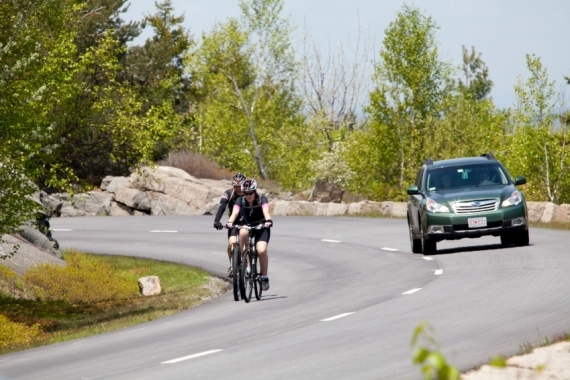 On a twisty mountain road, there’s only a moderate amount of body roll and the steering feels neutral. The VW is sharper than anything in the class, with a balanced and connected ride quality that eludes some of the Japanese competition, no questions asked. That said, the feeling of security isn’t as prevalent as in a sports sedan. The popular engine choice is 170 hp five-cylinder 2.5 engine-liter, which provides a significant boost of power over the smaller 2.0-liter. While we’d like a little more oomph, on occasion, with the smaller engine, the Jetta is a fine everyday car, especially for the price. For the sixth generation, the Jetta offers a total of five trim levels (S, SE, SEL, TDI and the soon-to-come GLI) and four different engines - a 115-horsepower 2.0-liter inline four, a 170-horsepower 2.5-liter inline five, a 140-horsepower four-cylinder turbodiesel TDI and a 2.0-liter four-cylinder turbocharged TSI for the GLI. All have a standard manual transmission. Available on the S, SE, and SEL is a conventional automatic transmission and a DSG is available on the TSI and TDI models. To keep gadgets in one place and decrease any driving distractions, the iPhone/iPod connectivity cable is located in the glove compartment. Power windows are one-touch up/down on all four windows – a high-end feature you rarely get in this segment. Not only is it convenient, it also minimizes the chances of accidentally leaving a window open. 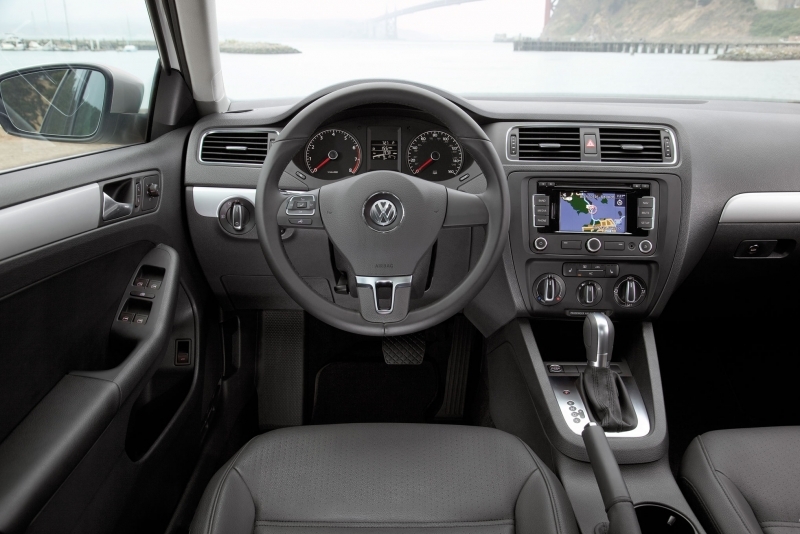 Upping the ante when it comes to safety technology, the 2011 Jetta features a variety of new qualities. Safety equipment includes six standard airbags, ABS, stability control and a new crash response system that shuts off the fuel pump, unlocks the doors and turns on the hazard lights in the event of an impact. For a vehicle of this size, the Jetta’s fuel economy is pretty average. 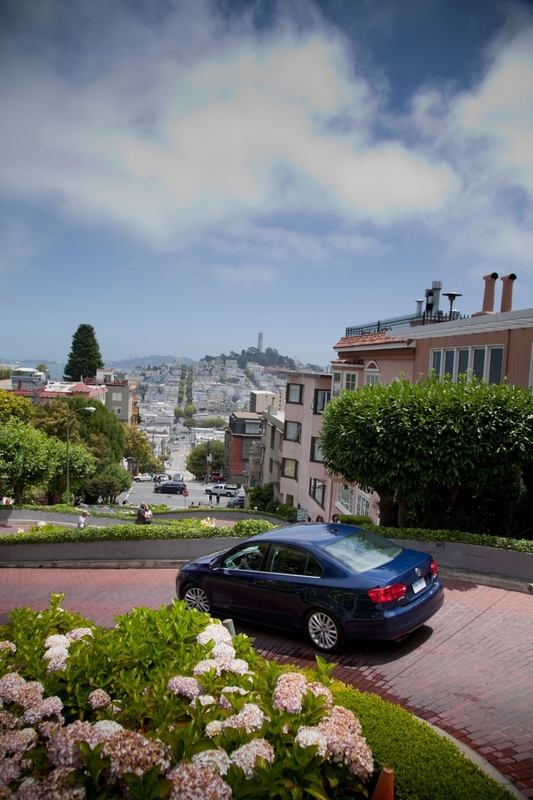 Though there aren’t specific numbers out yet, Volkswagen says mileage is better for the new generation, ranging from the mid-20s in the city to mid-30s on the highway. This is one area where the competition, such as the Civic or Ford Focus will trump the Jetta. The exterior of the new Jetta isn’t too distinctive – it isn’t advanced or flashy – but it does the job. Carrying the new corporate face found on the sixth-generation Golf and GTI, the Jetta loses the soft, pudgy styling of the old car and about 100 pounds to boot. It is still sleek and sophisticated, if not reminiscent of certain Japanese and Korean competitors. When sales start in October, expect a Jetta with keyless entry, A/C and stability control to start around $16,000, about two thousand less than the entry price of a 2010 model. The SEL with a 2.5-liter 170 hp engine, six-speed automatic transmission, navigation and a sunroof, begin at a base price of $23,395. Which brings it in line with the Honda Civic ($15,545), Toyota Corolla ($15,450) and the all-new Chevrolet Cruze ($16,995). The 2011 Jetta doesn’t reinvent the wheel for the small car segment, but for a Volkswagen, it’s an all-new ball of wax. The 2011 Jetta, really, is a steal in the category. The newly redesigned model demands more attention and interior quality aside, it means some serious business, which is a rarity in the class. 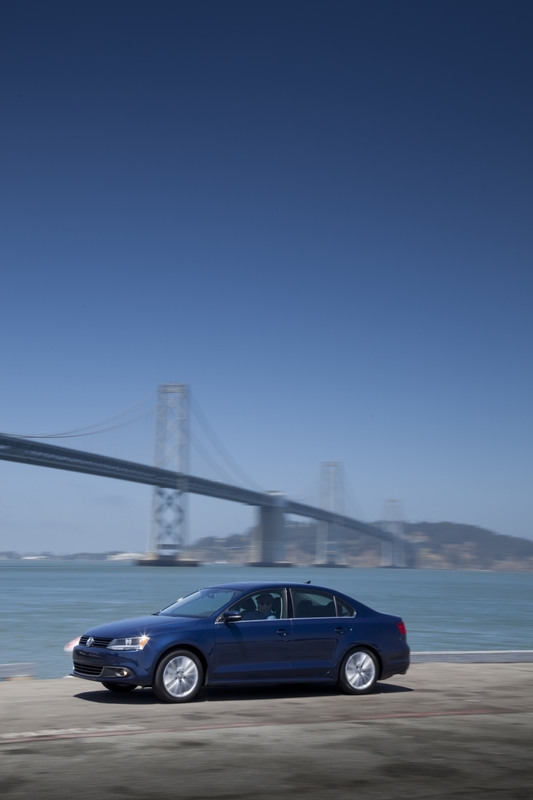 For a vehicle that was designed specifically for the American market, we think the 2011 Jetta is stronger than ever.